In 2012 she graduated with the distinction from Moscow State Conservatory under the instruction of Pavel Nersessian. Participated in master-classes with world famous professors: P. Gililov, P. Devoyon, D. Bashkirov, P. Badura-Skoda, A. El Bacha, J. Lowenthal and J. Rouvier who is Zlata’s supervisor in the Mozarteum University Salzburg at the present moment. At the age of eight Zlata made her debut on the stage of Grand Hall of Moscow State Conservatory, performing Mozart’s concerto No 17 with an orchestra. Ever since then she has been giving recitals and performing with various orchestras in the most well-known concert halls of Moscow, other Russian cities and abroad (Italy, Spain, Denmark, Slovakia, Austria, Germany, Poland, Holland, Belgium, France, Portugal, Brazil, etc.). She has given concerts with numerous orchestras, including Russian National Orchestra (conductor Mikhail Pletnev), Danish Tivoli Orchestra (conductor Terje Mikkelsen), the Royal Chamber Orchestra Wallonia (conductor Paul Goodwin), the National Philharmonic of Russia (conductors V. Spivakov and G. Rinkevičius) , the State Academic Symphony Orchestra of Russia (Svetlanov Symphony Orchestra), the Slovak Radio Symphony Orchestra, the Nice Philharmonic Orchestra, the Munich Chamber Orchestra, etc. 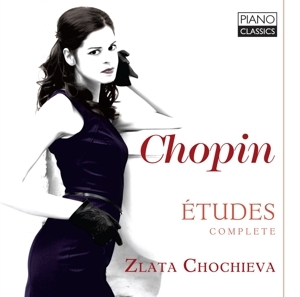 Zlata is the winner of ten international piano competitions, including Agropoly Contest (Italy), Shimanovsky Competition (Poland), Gold Medal at the Piano Competition in Copenhagen (Denmark), Frechilla-Zuloaga Competition (Spain), the third prize winner at Tivoli piano competition (Denmark), Mozart prize at ARD contest (Germany), award from Russian Performing Art Foundation in Moscow. She has recently won Alberto Fano Competition in Italy and Silver medal, Chopin prize, Public Preference Prize at The 1st International Piano Competition of Santa Catarina in Brazil. In 2005 Zlata was named Honorable Artist of North Ossetia Republic, becoming the youngest artist ever in the Republic to be so recognized. She has recently performed in such halls as the Herkulessaal (Munich), Slovak Philharmonic (Bratislava), Concertgebouw (Amsterdam), Teatro La Fenice (Venice), Tivoli Concert Hall (Copenhagen), Casa da Música (Porto), Belem Cultural Center (Lisbon), the Grand Hall of the Moscow Conservatory, the Grand Hall of Saint Petersburg Philharmonia among many others.